A singer and former elementary school teacher, Lori began taking Music Together® classes with her 5-month-old daughter in 2003. She loved the program so much, she decided to attend the Music Together teacher training. 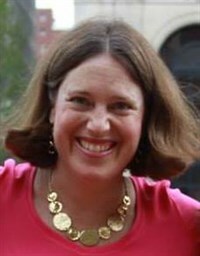 Lori has been teaching Music Together in Rhode Island since 2005, and has been a center director since 2010. She sings with The Providence Singers, and is the soprano section leader at St. Martin's Church in Providence. Lori lives in the Edgewood section of Cranston with her husband and two children. She considers herself lucky to have a job where she gets to sing, play, laugh, and receive hugs and high-fives every day! Degrees: BA: Comparative Literature from Brown University; Diploma: Vocal Performance from The Mannes College of Music; MS-Ed: Early Childhood/Elementary Education from The Bank Street College of Education.